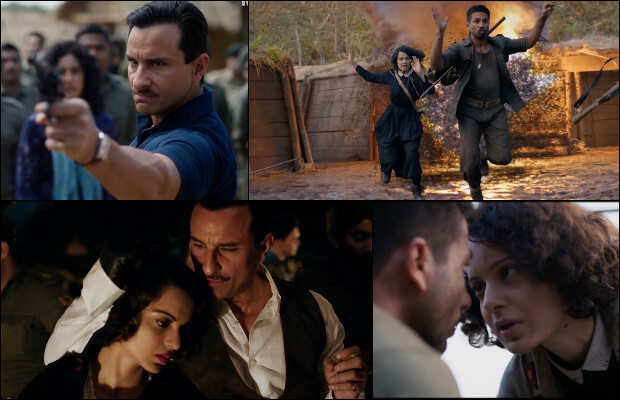 The recently released trailer of Saif Ali Khan, Shahid Kapoor and Kangana Ranaut starrer ‘Rangoon‘ has been garnering eyeballs and has been receiving appreciations from all spheres. At first it was assumed that the film is a biopic, but filmmaker Vishal Bhardwaj has finally confirmed that the film is only a love triangle. The director recently said, “Rangoon is a love triangle set in the era of the Second World War. We have tried to create the ethos of the era but it’s a work of fiction.” Earlier, it was reported that Vishal Bharadwaj was keen on making a film on the life of Fearless Nadia and has chosen Rangoon to showcase the life of the stunt queen. Rangoon is set in 1944 when World War 2 raged across the world. The movie is directed by Vishal Bhardwaj under the banners of Nadiadwala Grandson Entertainment and Viacom 18 Motion Pictures. The film is all set to hit the theatres on February 24, 2017. Previous articleAamir Khan Is Overwhelmed With Dangal’s Response, Has This To Say To His Fans! Next articleOm Puri’s Estranged Wife Nandita Puri Breaks Silence About The Night Before His Death!